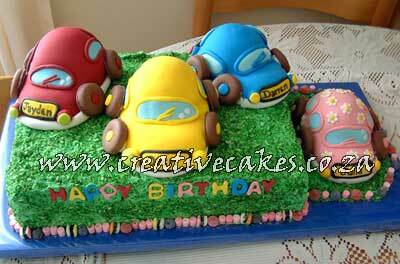 These Car Cakes arevery popular cake especially for one year olds -This simple but extremely professional looking cake is for little boys who love cars!!! They can be made in one primary color or else a combination of the three making it a very colorful and impressive cake for the birthday boy and his whole family nottomention his cousins and little friends! 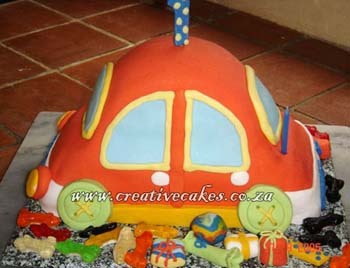 Due to public demand, this is one of the cakes featured in my first E-Book. It is a 3D cake and at the same time is a delightful little car that can be tackled by afirst time baker with amazing success.